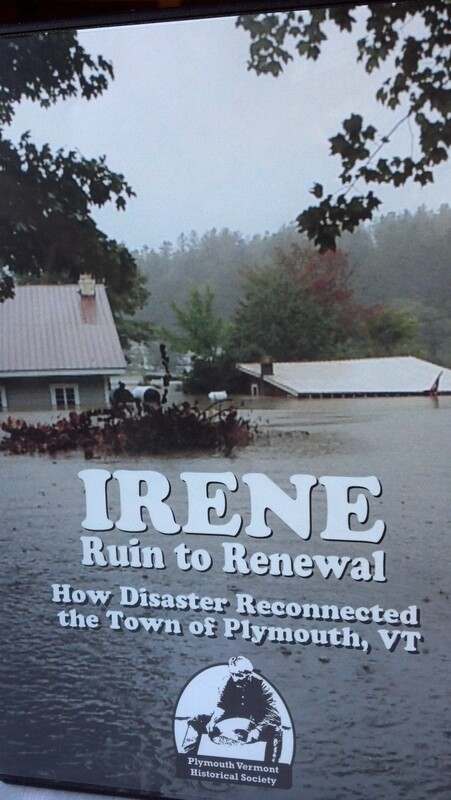 The Plymouth Historical Society documentary on Tropical Storm Irene is now available. Looks like Vermont will have a white Christmas! The Plymouth Historical Society wishes you a fun filled, safe holiday and all good things in the coming year. Please consider becoming a member or renewing your membership for 2017. Five dollars per person affords you a membership for 2017 and supports the activities and mission of the Society. A donation of any amount is always gratefully received! Send your check, made out to the Plymouth Historical Society, and accompanied by our Membership Form, to the address at the top of the form. Or, follow instructions on the form to pay with paypal. Our activities for 2017 include updating and expanding our website, completing and dedicating the memorial garden in front of the community center, erecting a permanent Community Center sign along Rt. 100, rotating exhibits, adding new artifacts to the museum, cataloging and digitizing the entire collection for online research and access, and a new and exciting program for the fall. The debut of the documentary film, “Irene: Ruin to Renewal,” focusing on Plymouth, was a huge success. If you are looking for a last minute Christmas gift, DVDs are available for $10 at the Plymouth Town Hall, Monday through Thursday between 8 am and 4 pm. If you would like one shipped, contact Betsy Tonkin at 802-672-3179 or tbone6547@aol.com to complete your order. Thank you for your support. Keep in touch by watching our website and facebook page. The museum will reopen in May but is always available for visits by prior arrangement. This entry was posted in Community News and tagged Plymouth Historical Society. Bookmark the permalink.